Leonie qualified as a physiotherapist in 2013 from Sheffield Hallam University. She started her early career in Derby Hospital working with clients with musculoskeletal conditions and injuries. She takes an evidence based approach to treatment, combining hands on alongside specific exercise prescription. 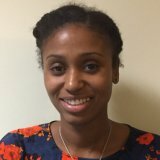 In January 2016, she specialised in rehabilitation within the GSTT NHS and has worked with clients with a range of co-morbidities and conditions, including neurological and sports injuries. Leonie uses a client goal orientated approach in order to engage clients and adapt behaviours to encourage long term results.